The opening ceremony will be on Tuesday, November 28, 2017 with the closing ceremony projected to be after the Festival of Lights Parade on Saturday, December 2, 2017. Both ceremonies are optional for guest bands. Saturday, December 2, 2017 | Show Band Finals, Festival of Lights Parade, Mass Band and Closing Ceremonies (Mass Band… music to be provided). With that said, we recommend that participating bands plan on arriving on Sunday, November 26th or Monday, November 27th and/or departing on Tuesday, December 5th in order to enjoy some of Southern California’s exceptional visitor offerings including Disneyland Resort (Walt Disney’s original park and vision), Hollywood and Universal Studios, Knott’s Berry Farm (California original theme park with thrill rides), San Diego, outlet shopping, and so much more. Festival organizers will be pleased to work with you in customizing your visit to make this the ultimate California experience for your band members. Naturally, we hope that all participating bands will be present for the entire event, but should school schedules or other conflicts necessitate a late arrival or early departure, we will do our best to schedule your band’s performances accordingly to ensure that your experience is worthwhile. This holds especially true for local and/or regional participants. Who is the local host organization in Palm Springs? 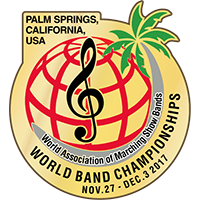 The local Palm Springs Instrumental Band Association – The Academy of Performing Arts, the Palm Springs Tourist and Convention Association, and the City of Palm Springs will be working to make this a phenomenal experience for all of the participants.